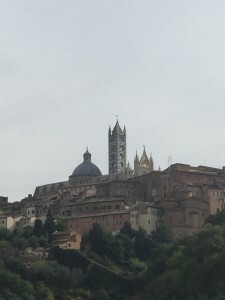 Paul took David, Julie and me on our final Siena walk-about this morning. 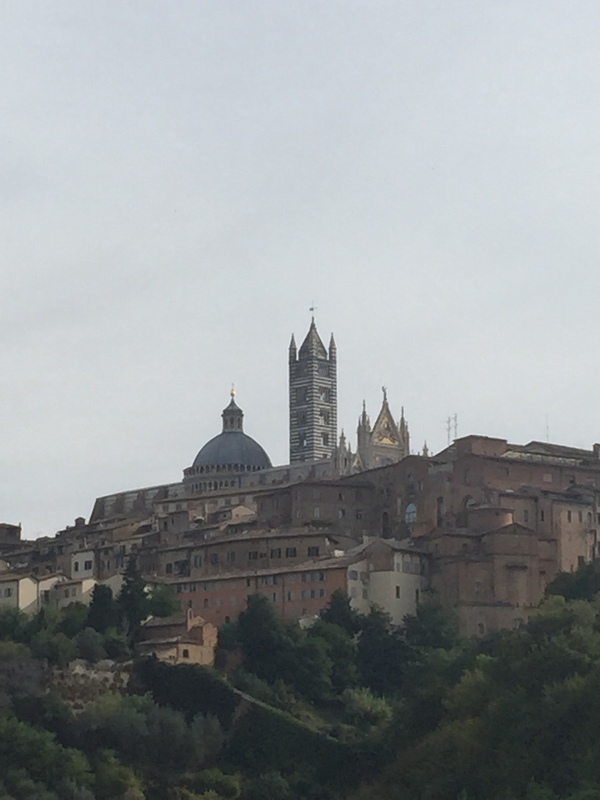 Looking up at the Duomo, I thought about how our morning hikes have been a great way to explore new areas. We ate lunch at Zest, a great little place that is on such a steep hill all of the outside tables and chairs have slanted legs. I felt like if I stood up too quickly, I would go flying into Paul’s lap. 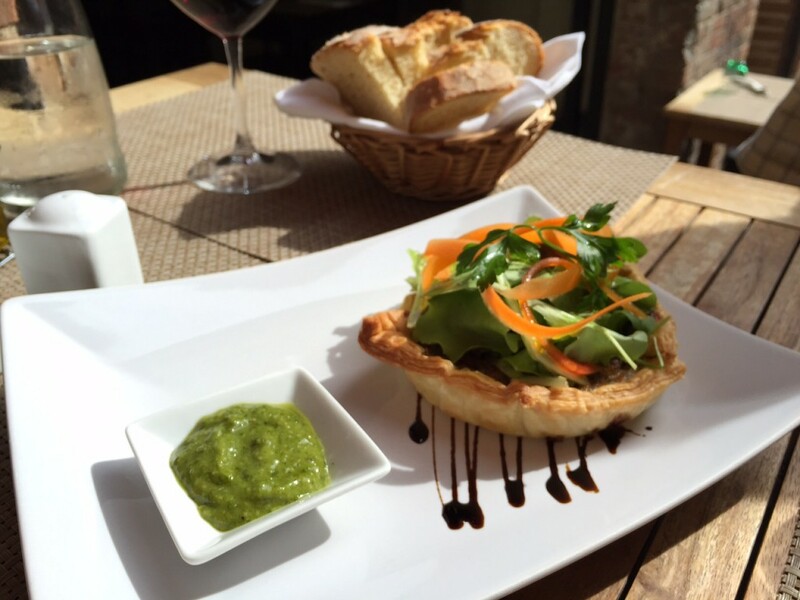 The leek, Gorgonzola cheese and caramelized onion tart was amazing. 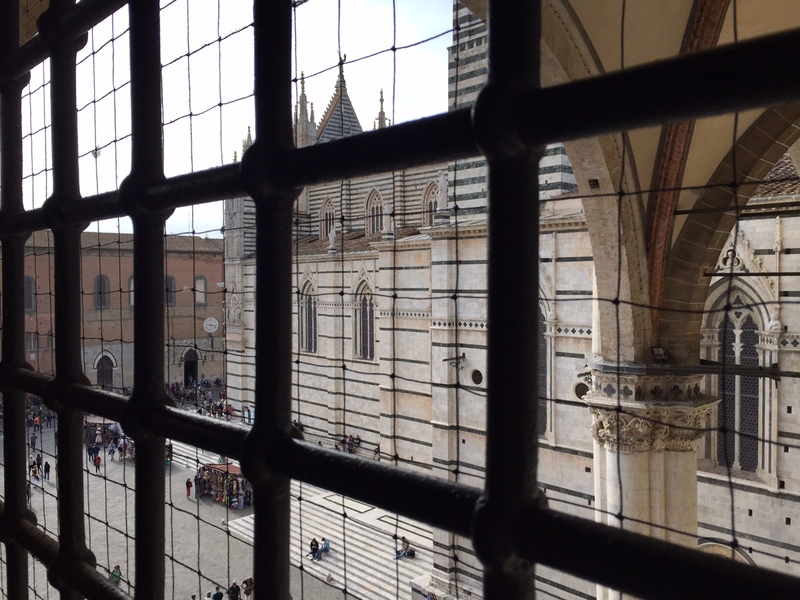 We had some sights left on our Opa Sci combo ticket, so we spent the afternoon at the Baptistry and the Duomo Museum. 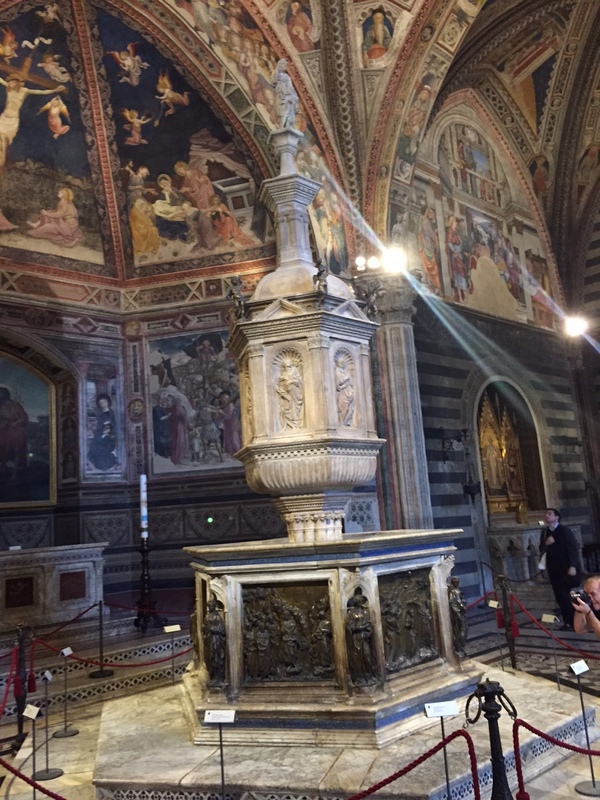 The beautiful baptismal font is decorated with works by Ghiberti, Donatello and others. The Duomo Museum was our last stop. 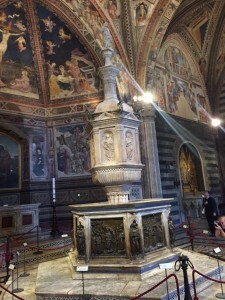 The museum is housed in what was planned to be the expansion of Siena’s cathedral until the Black Death in 1348 took 4/5 of Siena’s population. The cathedral was never completed. 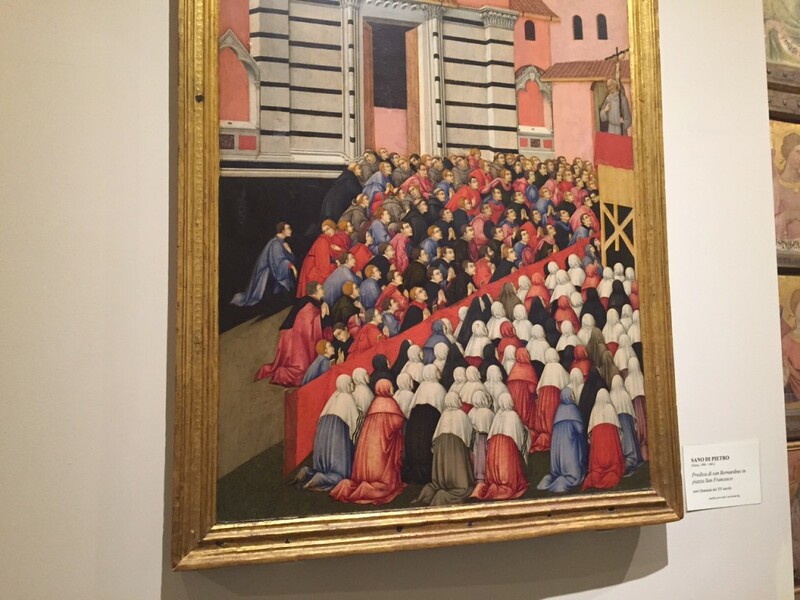 Some of the artwork in the cathedral was moved to the museum and replaced with copies, giving museum visitors a chance to the see the artwork up close. 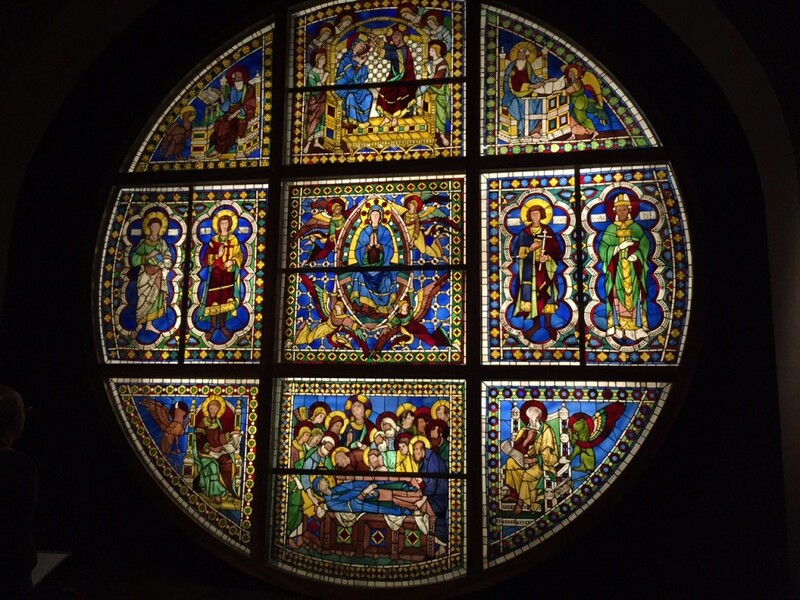 The beautiful stained-glass window that was above the altar is now at eye-level in the museum. There were two 15th century paintings by Sano di Pietro that looked as if they had been painted more recently than 600 years ago. There were a number of rooms filled with treasures, including some very ornate reliquaries. 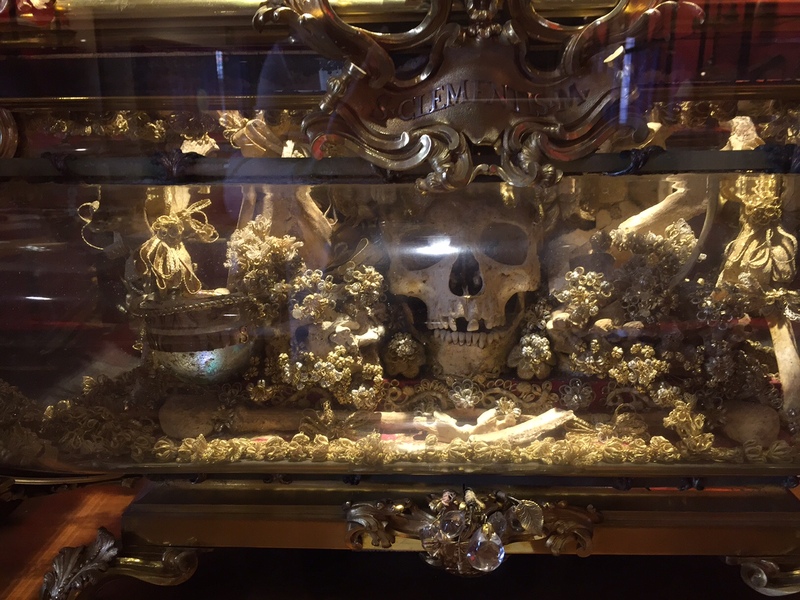 One of them held the skull and some bones of St. Clement, the Martyr. 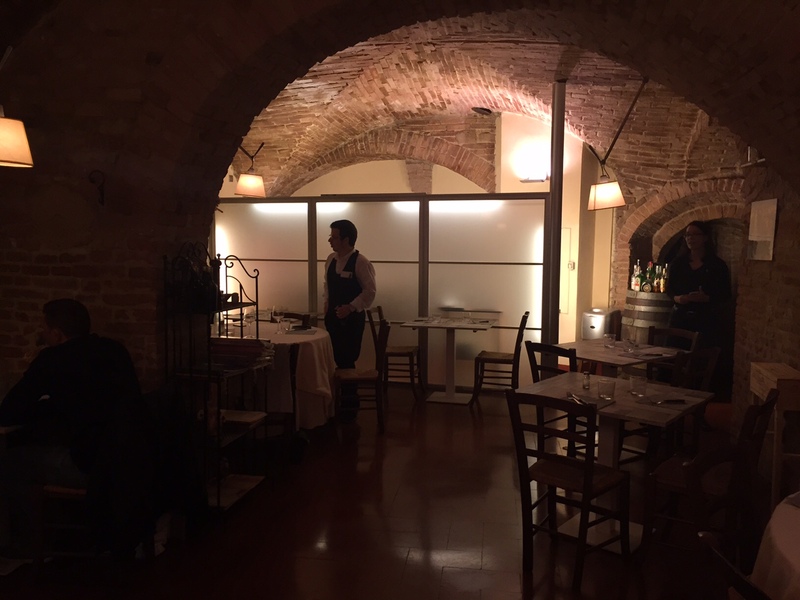 We ate dinner in a building that is 900 years old. This entry was posted in Italy 2015 on October 9, 2015 by debbie.